There is always a team of ‘Helpers’ roaming through the Amphitheatre and campgrounds. These wonderful people are loaded with helpful information. They help people find their tents, their friends, their way. They constantly look for people who might need a hand, eg. are unwell, not warm enough, too hot, lost, upset, etc, and they do whatever is needed to fix things up. They also distribute recycling and garbage bags to campsites and pass on the good word on our recycling and green practices, without any overt missionary-type zeal. The Helpers often have a background in First Aid, though they are additional to our First Aid team. Helpers can be spotted in those emergency services style fluoro vests with HELPER on the back. And now that ‘fluoro’ is out of fashion again, they’re far easier to spot. If you get lost on your way, there are now over a dozen Helper Huts in the campgrounds and Amphitheatre that house enthusiastic and helpful Helpers. Apart from housing Helpers, Helper Huts also have things like sunscreen and condoms, and can get the word out if anyone in your area needs assistance of some kind. 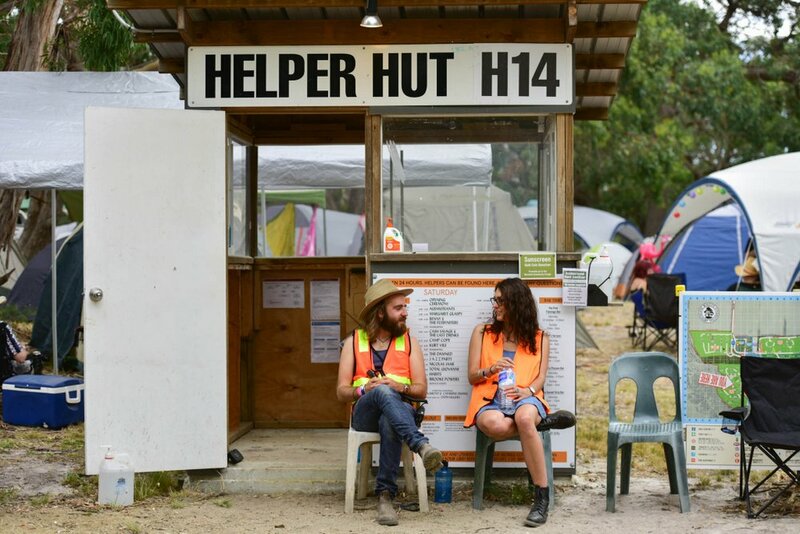 Familiarise yourself with your local Helper Hut before dark and/or before you get too deep, so you know where to go for 24-hour Help in the campgrounds. If a campsite is playing loud music near you feel free to quietly let your local Helper Hut know in person or call/text them on 0430 091 120. You can also contact the Helpers anonymously by the using the Helpdesk. They can be found at the following site map grid references: G8, G12, H14, M11, N8, N15, O10, O14, Q11, R12, S9, U11, U15 & V7. Open 24 hours. 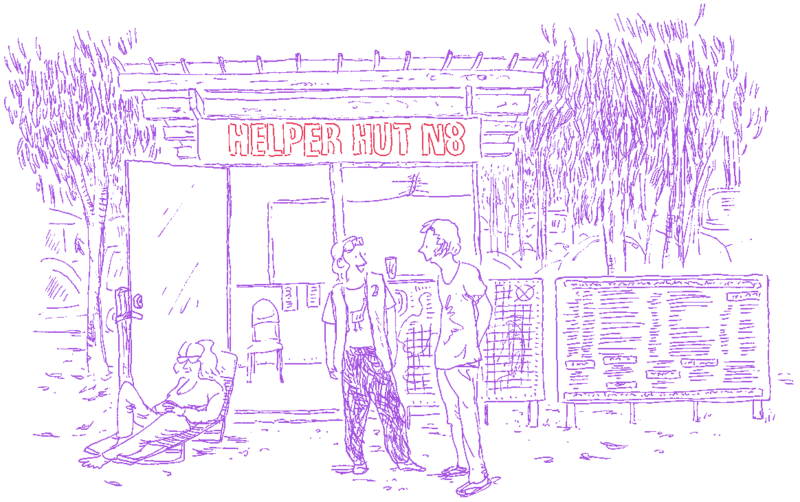 There is also the new Helper Hut Central (Info), located at K14, where you can get the usual help. Anyways. Helpers are unreal. We love them. Thanks Helpers. Another superb thread in the fabric of Meredith and Golden Plains society.